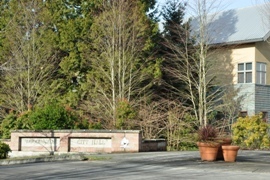 Woodinville is a great place to find homes for sale. 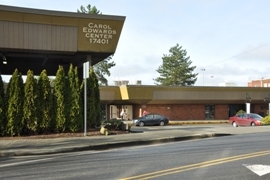 With convenient access to both Seattle and the Eastside, the commute is reasonable. The city only has a population of around eleven-thousand but the city is still part of the Seattle metropolitan area. 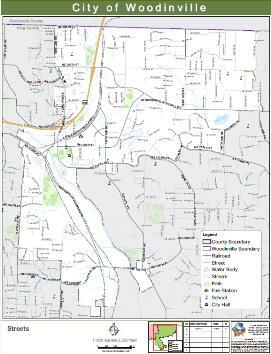 Homes for sale in Woodinville range from Woodinville Heights near the town center to densely wooded neighborhoods like Leota. 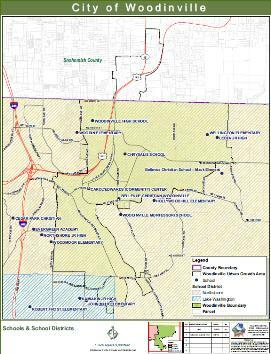 Although quite wooded, Woodinville got its name from the Woodins family, one of the first families to settle in the area, along the Sammamish River. Of course, the native Sammamish people had also settled in the area too. 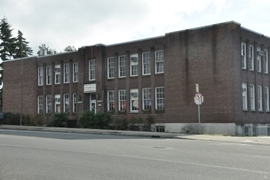 Woodinville was a logging community, then farming center and eventually a suburb of Seattle. 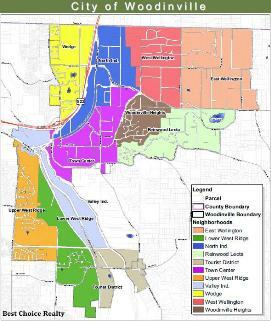 The residents of Woodinville voted for incorporation in 1992. 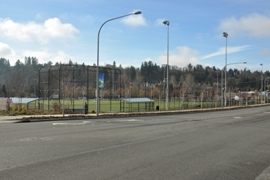 Some of the yearly civic events they sponsor include the Summer Concert Series at DeYoung Park, the Woodinville Lights Festival, the Annual Basset Bash parade/All Fools' Day celebration and the summer Outdoor Movies at the Redhook brewery. Tourism has become big part of the local economy, with several wineries showcasing grapes grown in Eastern Washington from Chateau Ste. Michelle to Columbia Winery and dozens of other smaller ones. 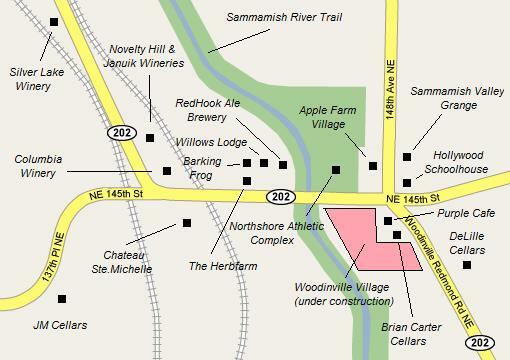 The Woodinville Tourist District is also home to the Redhook Ale Brewery and several restaurants including The Herbfarm restaurant. 10,938 people, 4,478 households and 2,827 families residing in the city. Racial makeup of city - 80.2% White, 1.4% African American, 0.4% Native American, 11.2% Asian, 0.2% Pacific Islander, 2.6% from other races. 4,478 households out of which 32.2% had children under the age of 18 living with them, 51.9% were married couples living together, 8.2% had a female householder with no husband present, 3.0% had a male householder with no wife present, and 36.9% were non-families. Average residence value - about $460,000.